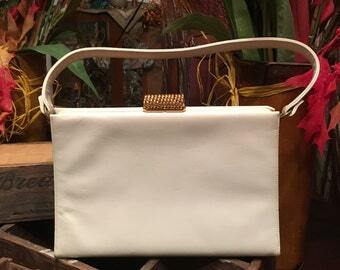 This handbag and shoe set, dating from the 1960's, is made of a raw silk with a Mod color block design. Both shoes and bag are in great condition. The colors are just as shown, bright and bold! Quality styling is evident here. 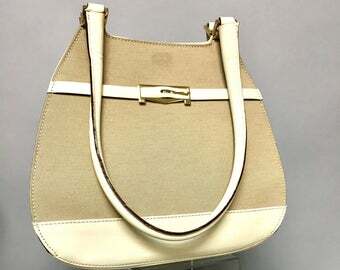 The purse has a clean, satin lining which has a side pocket. The handle is strong and in great shape. Measures about 9 1/4" across the bottom and 7 1/2" in height x abut 3" deep. 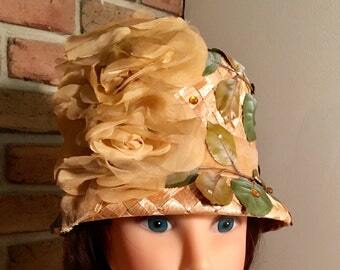 The fabric is raw silk which has natural nubs in it. The vamp of the shoe has a leather edging all around with a slightly rounded toe. 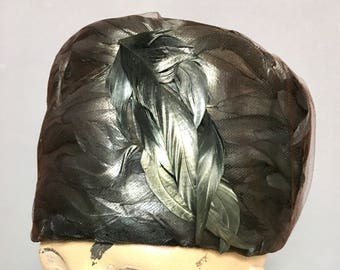 Designed by Geppetto. The 2 3/4" heels have a sturdy heel and good heel taps. Inside indicates the size as 7 1/2 AA/AAAA with a measurement of 10" long measuring along side the innersole and 3" across the ball of the outer sole. 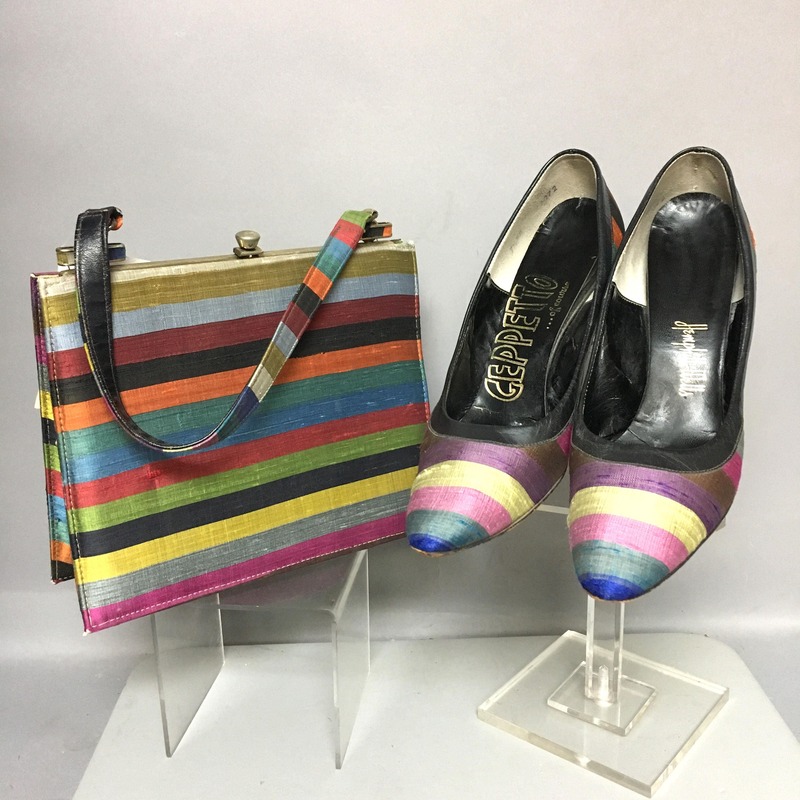 This is an awesome matching purse and shoe set dating from the 1960's; I have decided not to separate them because I feel they should stay together after all these years, so please don't ask. The price is more than fair for both pieces. I had this set photographed for Judith Miller's book "Sixties Style" in 2006. It is pictured on page 299. The box is pictures and I still have it, but it has gotten beat up since the picture was taken 11 years ago. So, I am keeping the box. It will ship cheaper without it anyway. Just wanted to let you know the strap broke off even before i had the chance to use the bag. It was already cracked so badly in one spot due to the way it was packed (the strap was folded in one part), which continued to just snap off while it was hanging, untouched. Amazing PSYCHEDELIC, Ruched SILK, Vintage 1960's FLoWeR PoWeR, High Heel Shoes, size 6.